Game 7 of the World Series is tonight! I live on the Central Coast of California, three hours north of Los Angeles, and four hours south of San Francisco. You might guess that I would be routing for the Giants to win this evening, but this is not so. I admit I am a big Hunter Pence fan, but my heart and my cheers will be with the Royals tonight. Why would a California girl not be cheering for her California team? Besides being a big baseball fan my entire life, I am also a fan of “teams” founded to fight childhood cancer. 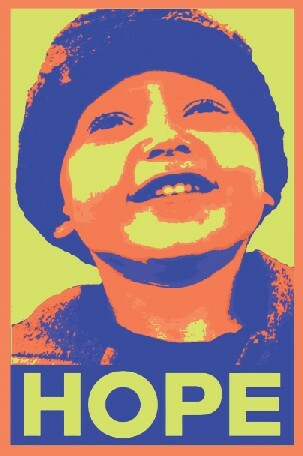 One of my very favorite childhood cancer fighting “teams” is Braden’s Hope for Childhood Cancer. Melinda and I met Deliece Hofen, the founder of Braden’s Hope, four years ago. At the time, Deliece was in treatment for breast cancer while her son, Braden, was in treatment for Neuroblastoma. Deliece is one of the brightest shining stars I have ever met on this Earth. Although she has had a mountain of challenges heaped upon her life, she has climbed to tremendous heights through her positive attitude, her beautiful faith, and her undying determination to help others. I love this woman. Because of her tenacity, her persistence, and her utter brilliance, she has been able to help save her son’s life. Braden is a walking miracle. Deliece is a walking miracle herself! Whatever could all of this have to do with the World Series tonight? 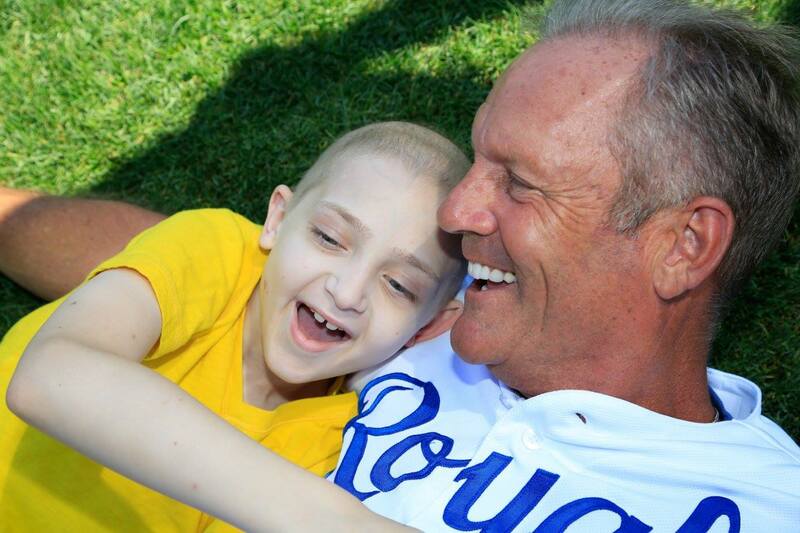 Braden’s Hope for Childhood Cancer is located in Kansas City. The Royals have always been huge supporters of this foundation. Before baseball games begin in Kansas City, the enormous screen with a crown sports a photo of Braden and George Brett laughing together while offering a Braden’s Hope Calendar for sale. The calendar has photos of “Hope Heroes” with Royals players. All proceeds go to helping Braden’s Hope for Childhood Cancer fund vital research for cures for our kids. I love the Royals for their dedication to helping their local childhood cancer foundation, Braden’s Hope for Childhood Cancer. Being a major league baseball player comes with many perks. It is refreshing to see these players use their position of sports celebrity to spread human kindness into the world of suffering children. It’s the right thing to do. What could make me change my mind? Hmmmm…. Maybe the Giants can begin supporting Unravel Pediatric Cancer, one of their local childhood cancer foundations started by another “mama” I love, Libby Kranz. You see, I love watching baseball, but I love witnessing big hearts in action for kids with cancer even more.